Mayo School of Health Sciences offers a 12-month postgraduate Physician Assistant Fellowship in Hospital Internal Medicine at Mayo Clinic’s campus in Phoenix/Scottsdale, Arizona. The program trains highly qualified graduate physician assistants (PAs) to become skilled, compassionate and efficient hospital-based PAs. The curriculum contains diverse didactic instruction and direct patient care clinical experience, embedded in the foundation of Mayo Clinic: excellence in patient care, education and research. 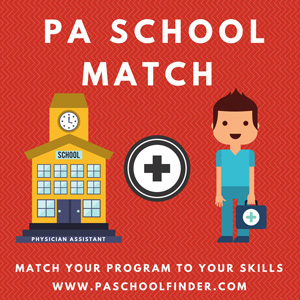 This program provides the graduate PA with the training needed to provide the utmost quality of care to hospitalized patients. The academic year runs from the first Tuesday in October through September. The fellowship curriculum is designed in a diverse format that accommodates all learner types. It is based upon the physician “Core Competencies” from the Society of Hospital Medicine. Fellows complete various medical specialty rotations that are two to four weeks in duration. The curriculum includes formal didactic instruction, journal club and case review, and project-based learning through hands-on experience. Specifically, the Hematology/Oncology Track and Critical Care Medicine Track offer up to 16 weeks of training in their fields in addition to the core rotations offered in the traditional hospitalist track. Upon graduation, fellows receive a Mayo Clinic College of Medicine certificate documenting completion of a one-year postgraduate fellowship in hospital internal medicine. This certificate verifies that each fellow has completed all the components listed in the syllabus. Such experience and training allows fellows to be more competitive for hospitalist PA positions and have increased security in the job market. The Physician Assistant Fellowship in Hospital Internal Medicine at Mayo Clinic in Arizona is accredited through the Accreditation Review Commission on Education for the Physician Assistant (ARC-PA). The program is also recognized by the Association of Postgraduate Physician Assistant Programs (APPAP). See accreditation information for Mayo Clinic College of Medicine. The Mayo Clinic campus in Scottsdale is centered around a beautiful, five-story outpatient clinic. This modern facility contains extensive exam rooms, an outpatient surgery center equipped for general anesthesia, a full-service laboratory, pharmacy, patient education library, endoscopy suite, and a 188-seat auditorium for patient, staff and student education programs. Services in numerous medical and surgical disciplines are provided, including outstanding programs in cancer treatment and organ transplantation. Take a virtual tour of Mayo Clinic’s campuses in Phoenix and Scottsdale, Arizona. Upon successful completion of the fellowship, you will receive a certificate of completion from Mayo School of Health Sciences, part of Mayo Clinic College of Medicine. This certificate specifically states that the graduate fellow has received postgraduate training in the field of hospital internal medicine. This fellowship does not grant advanced placement and does not accept transfer of credit hours. For the majority of the fellowship, the learning schedule includes 10-hour days, five days a week, including weekends and nights. Hours while on subspecialty rotations vary depending on the requirements and needs of the particular service. All hours worked are in accordance with the Accreditation Council for Graduate Medical Education (ACGME) medical resident hour restrictions. According to Mayo School of Health Sciences, moonlighting is permitted but at the discretion of the program directors. Furthermore, if the PA fellow chooses to moonlight, the position should not interfere with any of the PA fellow’s clinical and academic responsibilities. The total amount of hours worked in both the fellowship and the moonlighting position cannot exceed the weekly ACGME duty hour requirements, and the PA fellow must log these hours and provide them to the program director weekly. Also, the PA fellow must have a separate supervising physician for that position designated at the state. Medical malpractice must be covered by the outside organization for that specific position. For more information regarding the moonlighting policy, contact the fellowship director. Each year, Mayo School of Health Sciences accepts up to three students to its postgraduate Physician Assistant Fellowship in Hospital Internal Medicine. This ensures you receive individualized instruction and a comprehensive educational experience.